From there, it trickles down to the black illiterates and Marxist criminal element that run the so-called National Education Association, which has done more damage to public education than even desegregation and Affirmative-Action programs for functionally-illiterate black teachers and administrators in our large urban areas. Another valuable reform would be to provide federally Guaranteed Student Loans and grants only to those who score 1200 or higher on their SATs. This would cull all the stupid, lazy, useless and black flotsam from so-called “higher education”: It would also force a great many colleges and universities to reform themselves and their curricula in order to compete for a student body possessing both the aptitude and desire to learn. Grants could be directed toward those who study the natural sciences, applied sciences and mathematics. Black Studies majors, Queer Studies majors and Feminist Studies majors would no longer compete with our brightest math and science students for Pell Grants or Guaranteed Student Loans, as they do now. Students who slept through 12 years of Elementary and Secondary schooling would no longer be permitted to waste Trillions of taxpayer dollars — and four more years “finding themselves” -– while going through the charade of receiving what is laughably called a “college education”: Instead, they would be abruptly introduced to the realities of the world of work. For example, practically every one of the so-called “Historically Black Colleges” has a Student Loan Default rate close to 100%. That’s because these “institutions of higher learning” recruit illiterate and retarded black ghetto “youth,” sign them up for Federally Guaranteed Student Loans, and then receive their tuition payments for their efforts. Most of these “scholars” never set foot on the campus where they are enrolled, and are about as committed to repaying their student loans as they are to maintaining sexual abstinence. Funds could still be made available to prospective students wishing to attend “trade schools,” but these should also be distributed on the basis of merit –- using objective criteria — to ensure that these funds are not squandered, as college tuition has clearly been for decades. Parents with students attending college would benefit from seeing a dramatic decline in tuition rates, because the enormous demand for a college education — even the terrible ones available today — would be reduced dramatically, since there would be far fewer dollars “chasing” each admission. Schools would be forced to compete for the better students, instead of the current situation, in which marginal students are allowed to bid-up college tuition costs to unprecedented levels for everyone else. Taxpayers would experience an enormous benefit by being relieved of the obligation to honor hundreds of billions of dollars in defaulted student loans each year. Moreover, those students attending an institution of “higher learning” would be far more serious, brighter, more deserving and presumably more grateful as a result of such reforms. Here’s another suggestion that would “cull” the more serious students from the herd: Require a clean drug test as a precondition for student loans and Pell Grants. If we are really serious about the “War on Drugs,” here’s a great way to put a large “dent” in the demand for illegal drugs and ensure that students receiving Guaranteed Student Loans and Pell Grants are better “focused” on their studies. 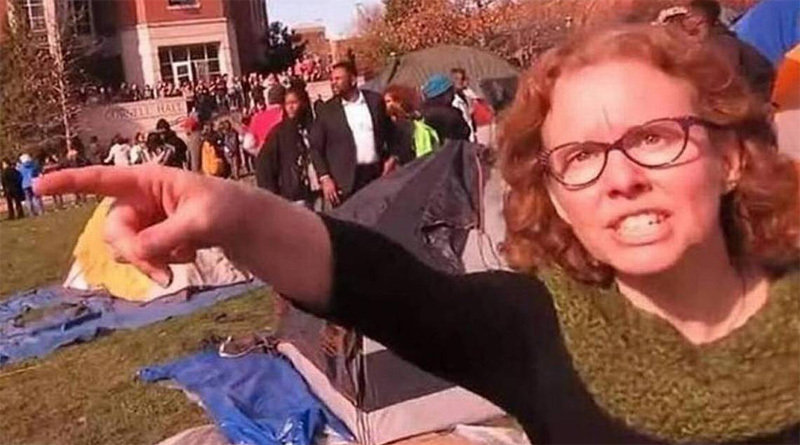 The Marxist stranglehold on “higher learning” results from the fact that this perverse ideology has had a monopoly on college and university campuses for 40 years. The only effective way to introduce real competition into the market place of ideas is to disallow Federally-Guaranteed Student Loans and Pell Grants to students who attend schools where Marxist “Speech Codes” prevail: These are nothing less than censorship imposed by Marxists, exactly as their ideological allies used to do in the former Soviet Union. It’s a very simple principle, and a most equitable one as well. Taxpayers should not have to financially subsidize an ideology that would destroy free markets and the wealth they generate almost as fast as it would destroy the Constitution and Rule of Law. In addition, any state requirement for “Teaching Certificates” should be eliminated, as well: All these do is limit employment to those who have been indoctrinated by leftist Schools of Education. They also mean that Albert Einstein could not teach remedial Arithmetic in the public schools, and that Nobel Economist Milton Friedman could not even teach “Home Economics.” States should be encouraged to jettison this requirement. Finally, there needs to be Minimum SAT requirements for teaching Secondary Education in the public schools. For example, it should be required by state and local school boards –- rather than the federal government — that any teacher hired to teach in the public schools be able to achieve at least a 1000 on the SATs. For example, in the St. Louis Public Schools, routinely low average SAT scores (under 800) always seemed to puzzle administrators, but there is really no mystery: The average student SAT Score simply mirrors the average SAT scores of administrators and teachers graduating from the local “Teachers College,” which has some of the lowest academic standards this side of Zimbabwe. Great article Earl! I remember seeing several years ago that the total cost of taxpayer financed education in the US now exceeds $400 billion annually. Over a decade, that money could be used to replace our decaying infrastructure in its entirety. Just one year alone is enough to revive the manufacturing sector of the US economy & bring jobs back from overseas. Also, besides the ridiculous majors & degrees that higher education now shells out, I’d like to see another program reduced big time. You guessed it, sports, especially football & basketball. It’s quite obvious why without having to go into details. Just look at the athletes, scandals, corruption, etc. & you’ll know why. To put it bluntly, education on all levels in 21st century America is a joke, save those of scientific or technical area. Even graduate schools of business are churning out more MBAs than both the private & public sectors need. My advice to any white male, learn a trade. By the way, there still is a need for plumbers. My name should give you a hint.